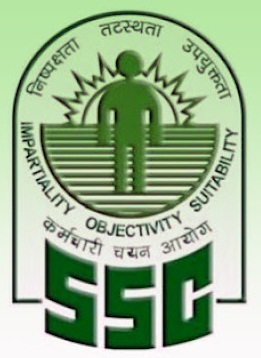 Staff Selection Commission conducts various exams like CGL, LDC, Stenographer, MTS, Junior engineer, SI and CAPF, etc. But, the two are the biggest exams - Combined Graduate level (CGL); and Lower Division Clerk (LDC). These are the exams taken by lakhs of aspirants every year for the Central government job of Group 'B' and 'C' posts. - One should be aware of its syllabus and pattern of the exam going to appear and prepare for it. These two parameters- Pattern and Syllabus, can lead you in right direction preparation with better strategy than others. Example: CGL exam is conducted in 3 phases- Tier1+Tier2 and interview. Hence, it is advised to go through the exam pattern and syllabus. Also Read: Prepare for Mains SSC exams. - It is always advised from the senior aspirants to practice previous year papers of the exam, one is going to appear. It is also considered the best way to know the changed pattern and level of questions can be asked in the exam. It is also advised to practice paper which is lately happened and then, the preceding years. So, that one can have knowledge of lately asked questions and pattern of the exam. - Must practice Mock Test or Join Test series to check your preparation and where you stand among the other aspirants. If you practice at home, buy a Mock test papers of the exam and practice them in time bound of 2 hours. It will help you to get familiar with the examination hall situation. I also advise that you should practice mock tests by calculating marking oval time as it also takes 10-15 minutes to fill 200 ovals of the answer sheet. Part A- General Intelligence and Ability. This pattern remains same for every exam of SSC conducts (expect Junior Engineer exam). I have also blogged regarding the best books one can buy to practice on each part asked in the exams. Books for General Intelligence and Reasoning. - You won't deny me on this point too. It is very important for each and every aspirant to find out the strong and weak sections- Part A, B, C, and D. Some may be strong in Reasoning and others may be in Quantitative aptitude, so one has to figure it out and plan accordingly will give advantage in preparation. One can devote more time in weak sections and less time in strong sections. - Secondly, you has to find out in which topics of each section, is weak and strong. So, that you can practice more questions on that and clear concepts. - Time management is also a vital part in achieving the goal. If you are working and preparing side by side, you have to properly schedule your study. And, you can study more on weekends to match the level of other aspirants. - Devote 4-5 hours daily for those who have just started preparing for the exams and not working. Devote equal time to each section irrespective of your weakness as initially the practice and concepts are required to be cleared only then, you will be able to find out your weak and strong sections of the exam. After, 2-3 months devoting to comprehend the exam concepts of each and every topic of the different sections, you can move towards making your strategy to attempt the exam, buy different practice books, and prepare accordingly. - It is also important for the aspirants to know what to study and what to not. As, directional-less study can harm ones result and hard work. In this, one should be stick to the syllabus for which preparing and be aware of his/her weak and strong topics or subjects. The important point is to kept in mind that for SSC exam many aspirants are seen be preparing and stressing more on Part C- Quantitative Aptitude and Part A- General Intelligence and Ability. As, preparation these two can fetch you 80 or more marks and help in clearing the cutoff easily. And, also it has been seen preparing very less for the Part B- GA section as it brings undefined study and also not possible much marks by most of the aspirants. But, I advise you to study each and every subject with your time management and strategy with clearly focusing on Weak section and practice more and more to get hold on the weak sections. Also Read: How to attempt the SSC exam paper. Whereas, Accuracy is required to correctly answer the questions and avoid negative marking. It is not totally possible to avoid negative marking. But, it can be decreased with practice and attempt question with proper solution and logic. The accuracy of Quantitative section is the highest and of English Language section is the least. So, work hard to achieve both Speed and Accuracy to score higher marks. - This scheme of strategy can be followed for any SSC exams as the pre-exam with 4 sections is common except junior engineer exam. So, prepare according to your skills and capability. Comments "Strategy to score in SSC government job exams"